Despite our nation’s great strides in racial equality since the civil rights movement, racial discrimination still occurs every day. Title VII of the Civil Rights Act of 1964, 42 U.S.C. 1981, the New York State Human Rights Law, and the New York City Human Rights Law all prohibit racial discrimination in the workplace. 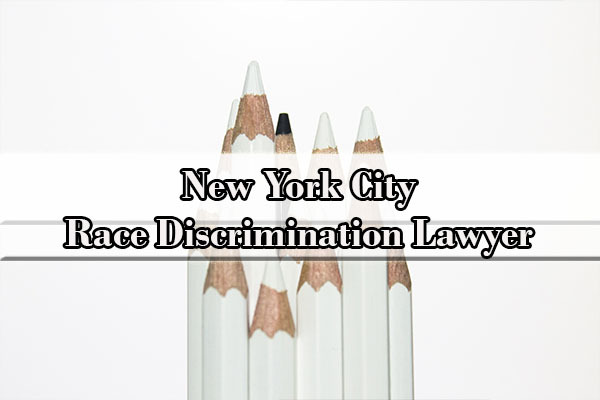 If you have encountered racial discrimination at work, you should hire an experienced team of NYC employment discrimination lawyers to fight for your rights. Race discrimination is unfair treatment in the workplace on the basis of race. In other words, race discrimination occurs when an employer makes an important employment decision based on an employee’s race rather than the employee’s skills, qualifications, or job performance. In addition, race discrimination laws also prohibit harassment based on race. Intentional / Disparate Treatment Race Discrimination: Disparate treatment race discrimination is when one is intentionally treated differently than his or her coworkers in the workplace on the basis of race. For example, if an employer must fire an employee due to corporate restructuring and the employer allows race to factor into that decision, disparate treatment race discrimination has occurred. Similarly, if employees of different races earn different salaries despite performing the same work, that may also be the result of illegal workplace race discrimination. Disparate Impact Race Discrimination: Disparate impact race discrimination does not result from actual racism. Instead disparate impact race discrimination occurs when a facially neutral policy, practice, or rule, has a discriminatory effect. For example, administering standardized testing in the workplace where one race scores disproportionately lower than other races could be illegal disparate impact racial discrimination. One of our clients was repeatedly passed over for a promotion in favor of less qualified Caucasian employees. Jokes based on racial groups, stereotyping of individuals based on their race, derogatory names, as well as racial epithets. All of the above-described examples of race discrimination are illegal. If you have been the victim of illegal workplace racial discrimination, a New York race discrimination attorney can help you bring legal claims against your employer. Our law firm has provided a contact form on this webpage that you can fill out to jumpstart your claims process today. Your first step should be to consult with lawyers that deal with racial discrimination to determine if you have a racial discrimination case. Meeting with an experienced attorney for a free consultation can help you understand both the nature of your race discrimination case and the legal options available to you. Collect any race-related statements made by the employer. These statements can include overt racial slurs or may be hidden code words. If the statement comes in written form such as in a letter or an email, keep it. If the evidence is based on an oral statement, do your best to remember it word-for-word and write it down as soon as you can. The best practice in such a situation is to type the statement electronically in some form that has a time stamp such as a text message so your racial discrimination attorney can prove the time and place in court. Photograph any racial images, displays, or cartoons that indicate possible race discrimination. Research your employer’s complaint procedure and complain about the discrimination pursuant to that procedure. You have to give your employer a chance to fix the situation and put an end to the illegal discrimination. Make sure you follow your employer’s complaint procedure, if there is one, and report the discrimination to the correct person. It is always best to put your complaint in writing. If you’ve only complained verbally, make sure you follow up in writing confirming the fact that you complained and reiterating the subject of that verbal complaint. Furthermore, provide the person to whom you’re complaining with copies of all the evidence you’ve accumulated. Remember, the employer doesn’t have to fire the person discriminating or inform you of the results of any investigation. They only have to make the discrimination stop. Check for past records of discrimination and ask your co-workers about your employer’s racial tendencies. Chances are, you are not the first victim of race discrimination. Compile a log of comparative treatment evidence. This is any evidence that helps you show that you were treated differently than employees of a different race (keep a record of promotions, demotions, hiring and firing, have a column for dates and race). If you have evidence of race discrimination, do not keep it to yourself. Call an experienced race discrimination attorney in New York to learn more about your options for recovering damages. The Civil Rights Act of 1866 (42 U.S.C. 1981): This older federal law prohibits racial discrimination in any contract relationship. As all employment relationships are contract-based relationships, Section 1981 protects all employees from race-based discrimination. Title VII of the Civil Rights Act of 1964: This federal law proscribes all racial discrimination in the employment context. Race is one of the classes protected under Title VII, which makes Title VII the main law used to bring workplace race discrimination cases. New York State Human Rights Laws: Unfortunately, Title VII only applies to businesses employing 15 or more people, which exempts a large number of small businesses. This New York State law will protect you from discrimination in those cases. New York City Human Rights Laws: This law also protects employees working for businesses employing 4 or more people against race-based discrimination. If you believe that you have been discriminated against on the basis of your race, call a New York City race discrimination attorney to better understand your rights. On this page, you can fill out a contact form, which will alert our attorneys to the nature of your claim. In New York, under Title VII, an employee must file a charge of discrimination with the Equal Employment Opportunity Commission (“EEOC”) within 300 days of the most recent discriminatory act. Once a Notice-of-Right-to-Sue is received from the EEOC, an employee must file his or her lawsuit within 90 days. Under 42 U.S.C. 1981, the NYS Human Rights Law, and NYC Human Rights Laws, an employee must file a claim in court within three (3) years of the last discriminatory act. Correctly filing a claim is a very important step to seeking justice for race discrimination. This is why it is important to file a claim correctly and with the proper agency. If you are uncertain about which actions to take, you should contact an experienced employment law attorney for assistance. Making an accidental error can result in you losing your ability to recover any damages under the law. 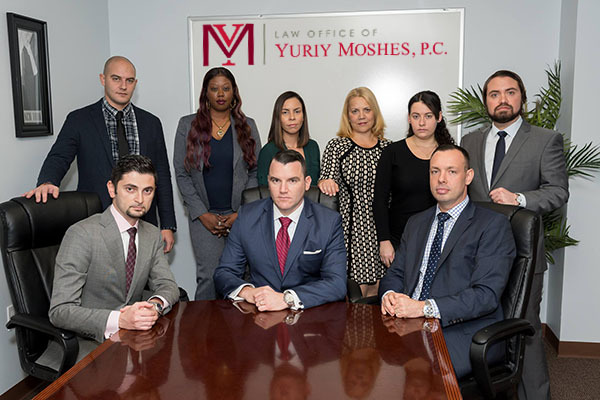 The Law Offices of Yuriy Moshes represents victims of race discrimination in the greater New York City area including all of the boroughs of New York City (Manhattan, Brooklyn, Queens, the Bronx and Staten Island) as well as Northern New Jersey, upstate New York, and Long Island. Time is of the essence. If you have been discriminated against, contact our team of workplace discrimination lawyers for a free consultation immediately because you have a limited period of time to take action. Our workplace discrimination attorneys provide free professional evaluations of any possible racial discrimination claims.